The sea is the final frontier. It's the last place on the planet that hasn't been divided up, regulated, restricted and strangulated by over-reaching governments. You simply point the bow of your yacht offshore, and instantly you are on the final frontier. Seventy percent of our planet's surface is water, and you have the freedom of sailing on it from pole to pole. Water World is yours for the taking. You have an entire world to explore. What's your pleasure? Are you interested in archeological mysteries? Point your bow toward Easter Island. Do you like penguins and frozen climes? No problem. Sail south for the Antarctic summer. How about sailing in glacier land? The inside passage to Alaska works just fine. Do you like fjords? Which do you prefer? There's lots to choose from in Scandanavia, New Zealand, and Chile. Do you like Atolls? The Tuamotus have enough atolls to last a lifetime. How about deep sea fishing? That's easy. A day in the Gulf Stream fulfills those dreams. Do you want a macho adventure? Cape Horn beckons. Do you have an interest in endangered species? Sail up the Kumai River and check out the orangutans of Borneo. Would you like to learn to speak Arabic? No problem. 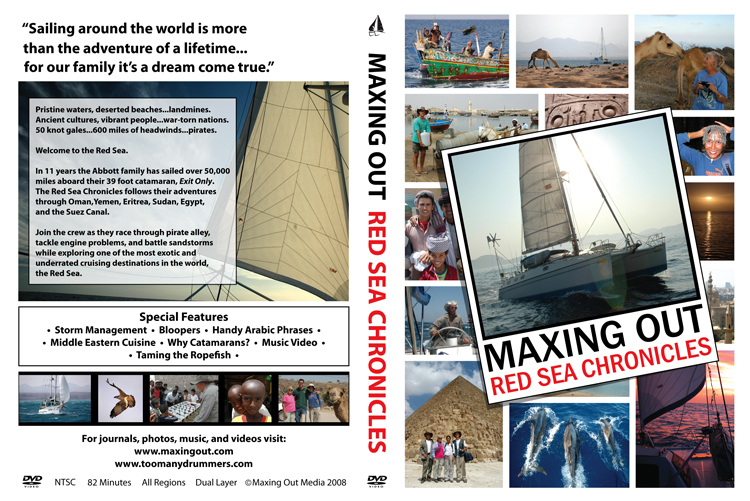 Spend a season cruising the Red Sea. How about a trip back in time? Visit Nabatean Petra and Roman Ephesus. Did you ever wonder what it looks like inside a crusader castle? Sail the southern Turkish coast. Would you like to swim in turquoise water? Sail to the Bahamas, New Caledonia, and French Polynesia. How about sailing in the wakes of the ancient navigators? That's easy. The trade winds will take you all the way around the world. The final frontier beckons, and when you set sail, the words of Martin Luther King will echo in your mind, "Free at last, free at last, thank God Almighty, I'm free at last." On the final frontier, you are truly free. 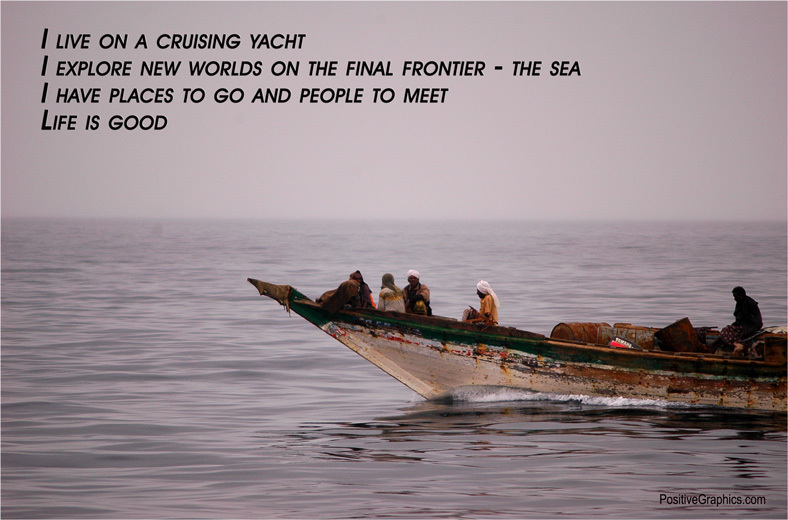 This picture shows a fishing boat in the southern Red Sea. These fishermen go about their business and show little interest in passing yachts. They might wave and smile as they motor along, but they never stop to talk. Just like us, they have places to go and things to do.